The 13th of each month is a very special date for Ayana Fall and Tyler Travers. They are brand new members of The Dragon of the Month Club. Their adventure begins with Ayana, hiding in the library after a run in with her worst nightmare, Heather van der Sloot, who constantly bullies her. It was because of her hiding in the library that she meets and becomes best friends with Tyler. While sitting in the library she finds a magical book. They take the book and try to conjure up a dragon. They are finally successful. One bad spell attempt and they find themselves traveling through strange worlds. These worlds are related to the books lying around Tyler’s world. Now all they need to do is find a way back home. They meet several people along the way who try to help them, and some not so nice people. Iain Reading has quickly become one of my favorite authors. I started reading his Kitty Hawk books and now I’m introduced to a fantastical world. This is the type of book I would have spent hours in my room, wishing I could slip into the pages and have an adventure. He does an excellent job when it comes to creating characters that the reader can relate to. His world building, as always is excellent. I loved the idea of being able to call up different kinds of dragons. They aren’t your ordinary dragons. I loved the idea of a fog dragon. 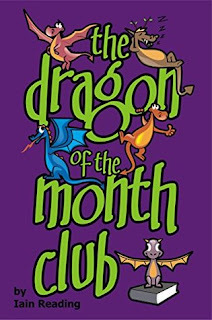 Even more than that, I loved the idea of a dragon of the month club where you could summon a dragon each month on a specific day. I am really looking forward to the next book in the series. More importantly, I’m looking forward to sharing these with my students. 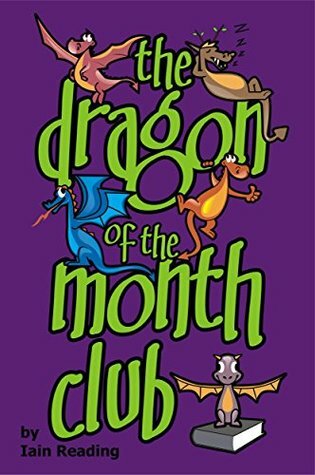 So glad you enjoyed reading the dragon of the month club! We'll be sure to send you the next book in the series once it's released.